Travis and Carol Turner have been mentoring men and women in the area of marriage relationships since 1992. They are the Founders of Divine Romance Ministries based in Phoenix Arizona. 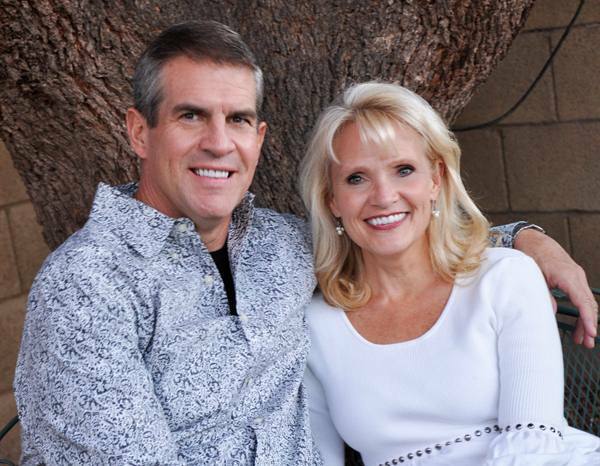 Travis and Carol, married in 1985, home schooled their two children: Tiffani is a pediatric ICU nurse and a graduate of Arizona State University, Taylor is a world class swimmer who attended the University of Southern California on an athletic scholarship. Travis is a featured instructor in the Christ Quest Institute, that is being presented in several locations around the country and on line at www.cqionlineschool.com. As a business man, Travis was instrumental in building the largest home inspection firm in Arizona. He also established a thriving real estate business. Travis takes a unique blend of ministry, business and sports experience to inspire leadership in the home, where it begins. Travis was the starting quarterback at the University of Nebraska in 1984-85. Divine Romance Ministries, Inc. provides Christ-centered mentoring/coaching. Their goal is to strengthen Christian marriages in an effort to eliminate divorce. The focus of their message is a complete and total submission to the Lord Jesus Christ. 1 Corinthians 13:8 tells us that “Love Never Fails”. This is a promise they take literally. They believe that the love of Christ can guide, direct, humble and inspire us to overcome any relationship conflict we encounter. They know that the principles they teach work, because they have seen them transform their home. The brief video below shares some of their story.